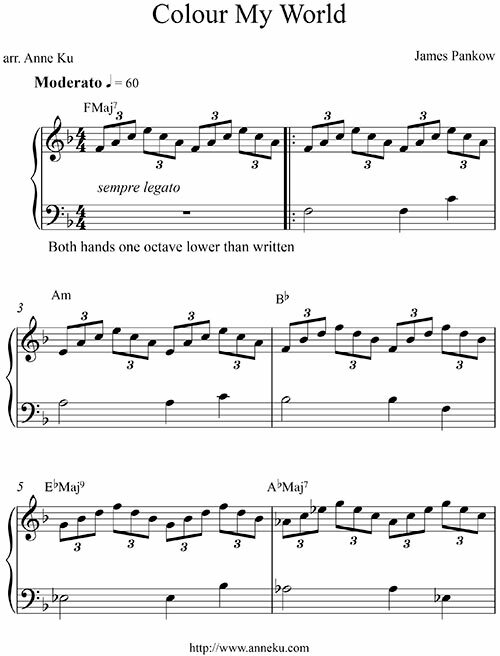 I found a version on the Internet that requires the right hand (R.H.) to read below middle C and the left hand (L.H.) a few octaves lower. Knowing that beginning piano students are more comfortable reading the notes in the staves rather out of them (ledger or leger lines), I decide to rewrite it. I also replaced the 12/8 time with 4/4 time using triplet eighth notes. This is another piece you can play with the official video on Youtube in which the L.H. is played by a bass guitar. Click on the image below for the 2-page PDF score.